Turner Classic Movies honors jazz-dance pioneer Jack Cole on Monday night, September 10, with a five-movie tribute to his film work. The choreographer, credited with playing a key role in defining the onscreen personas of Rita Hayworth and Marilyn Monroe, has been the subject of several articles by noted Los Angeles Times dance writer and critic, Debra Levine, who co-hosts TCM’s tribute with Robert Osborne. In all, Jack Cole worked on two dozen films from the ‘40s to the ‘60s. He had been in great demand from the beginning - Betty Grable and Rita Hayworth sought him - and, after she worked with him on Gentlemen Prefer Blondes, Marilyn Monroe insisted on his participation for every film she made that included a musical routine. Cole also worked in TV, in clubs and on Broadway and was nominated for a Tony Award in 1966 for Man of La Mancha (1965 – 1971). Jack Cole and Marilyn Monroe rehearsing "Diamonds are a Girl's Best Friend"
It will be interesting to hear Debra Levine talk about Jack Cole... Gotta love TCM! 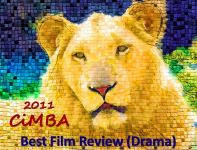 Sometimes it's like taking a film studies class for free. So true. I'd just become familiar with Jack Cole - he's often referenced and quoted in Marilyn Monroe bios, so Monday night's "class" on Cole is particularly timely for me. One of the many reasons I like your blog is that I learn something new. I am not familiar with Jack Cole but having seen your short list of your work I'm clearly a fan of his without knowing it! Thanks for the heads-up about the special. Thanks, CFB! Debra Levine's knowledge of Jack Cole is comprehensive - I'm sure she'll have much to say about his work and his place in the pantheon of modern dancer/choreographers (apparently Balanchine admired his work) tomorrow night on TCM. Can't wait. I read an interview of Cole by John Kobal & he was very complimentary of Rita and her talents. He didn't pull any punches about many others, so you know he really admired her - dancer to dancer. From what I've read, Jack Cole was well aware of how a good coach and a good director could make a not-very-talented dancer sizzle on the screen. Most consider "Diamonds are a Girl's Best Friend" his masterwork on film - he not only choreographed the number but also directed it, with Howard Hawks's blessing. I particularly love the work that Cole did with Rita Hayworth - she could dance and she had the ability to get across that eastern/ethnic vibe that he had going. I remember years ago watching "Cover Girl" and being primarily knocked out by the colorful dance routines (Rita's lush red hair and primal figure was the perfect focus). You can see where Jack Cole influenced a lot of other people, including the great Bob Fosse. 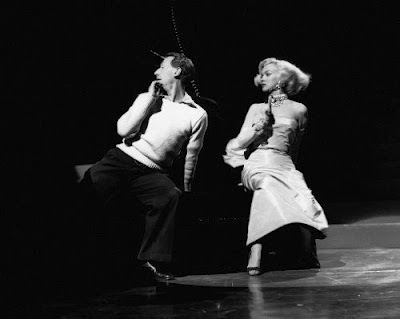 I miss the wonderful jazz dance routines that artists like Jack Cole were able to create. I'd like to see TCM do a whole week on master choreographers for film. Maybe they already have - if so, I'm sorry I missed it. MCB, As far as I know, TCM hasn't featured choreographers in the way that you mention - as yet. Hopefully, this evening of Jack Cole films (and discussion) is only the beginning. I have gotten the impression from reading Debra Levine's articles and listening to her co-host tonight, that she is on a mission to raise awareness and appreciation of Jack Cole's contribution to modern dance in general and film in particular. Dorian, TCM's tribute to Jack Cole tonight has certainly gotten me into a musical mood. I understand there's been a documentary in the works on Cole but that it has stalled for lack of funding. Hopefully this TCM showcase will help stir up interest - and money to fund its completion. A very underrated choreographer. 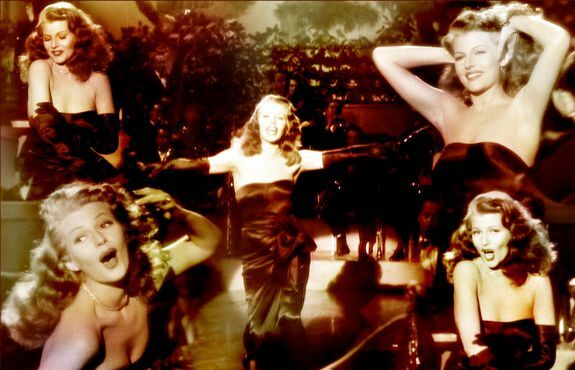 Rita Hayworth's "You Excite Me", the opening number of "Tonight and Every Night", which TCM showed last night, is one of my all-time favorite dance routines, and one of the great numbers of the forties musicals. There's a bit of a sexual edge to Jack Cole routines that one doesn't find in other numbers of the time. Kevin, I've yet to see "Tonight and Every Night" - I recorded it last night but haven't had the chance to sit down and watch yet. Debra Levine's take on Cole's career - the difficult personality, that he was ultimately overshadowed by Bob Fosse - was fascinating. He seems never to have stopped working, though, and was teaching dance at UCLA at the time of his death. I read a tidbit about the "Heat Wave" number ("There's No Business Like Show Business") in a Marilyn Monroe bio. MM apparently threw some 'bumps and grinds' of her own into the routine - prompted by a signal from the sidelines by her drama coach, Natasha Lytess. It seems the signal came in the form of Lytess (how do I put this tastefully?) pointing in the direction of her crotch - indicating a certain kind of emphasis/motivation she felt was needed. I'm a huge fan of musicals and of Jack Cole's work. Thank you for spotlighting him..
My favorite dance number of his is from, From Gentlemen Prefer Blondes. "Diamonds are a Girls Best Friend". Dawn, I've yet to see some of the films I recorded on Jack Cole's TCM night, but there aren't many Technicolor dance numbers that I like more than "Diamonds are a Girl's Best Friend." Good assessment of a very talented man, Eve. I particularly love his choreography of Put the Blame on Mame, Heat Wave and Amado Mio. Heat Wave in particular is a very hot number (I know, bad pun, but true!) Of course, Diamonds is so iconic, and I love to watch for George Chakiris in the male dancers -- I've been in mad love with him since West Side Story. Becky, TCM has been airing an interview feature with George Chakiris lately in which he talks about working on "Diamonds are a Girl's Best Friend." He echoes what Jane Russell said about Marilyn Monroe - that she rehearsed relentlessly - was a perfectionist, really. She may not have been the world's greatest dancer, but she was dedicated to giving it her best. By the way, welcome back to the blogosphere! I just began practicing some choreography for my next dance show. My choreographer, Rich Morell is trying to create a dance that appeals to all ages. I don't know how he is going to do it, but so far he has pulled it off. It is going to be so awesome once we have it down.